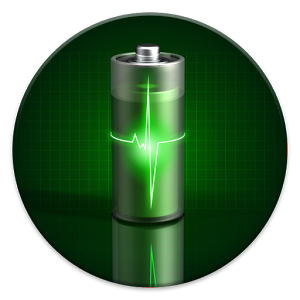 When it comes to mobile devices of all kinds, extending the battery life is often a priority. People who take care of the batteries of their devices will sometimes manage to keep them going for a longer period of time. Kindle devices use less battery power than a lot of the other devices that people are going to use, particularly since the act of using an e-reader is not especially energy intensive. However, being able to extend kindle’s battery life can genuinely improve the experience of users everywhere. Readers will be able to use their devices for a longer period of time without having to worry about them running out of energy at the worst possible moment, and extending the battery life of devices can be good for the device longevity. The firmware additions to Kindle are often going to make the battery of the device much more efficient. There is also the possibility that the firmware that people download will protect the Kindle from a virus or something else that is going to end up draining the battery. Some pieces of malware are just annoying rather than destructive, and they can act as superfluous data that will drain the battery. However, overall, people will end up with more efficient Kindle batteries as a result of updating their firmware. How to manually update Kindle’s firmware. Often times, users end up draining the batteries of their devices in subtle ways and through very subtle actions. There is no reason for people to do this. Making a few simple changes to their habits when they use Kindle devices can make all the difference, and turning down the Kindle back light can work wonders when it comes to extending the battery life of the device. Lots of people will leave their Kindles on even when they are finished with their reading. They are draining the battery for no good reason in the process. Most people wouldn’t do this if they took into account the fact that they were slowly costing themselves money in the process, even though they were losing money at a slow rate. This is a fairly easy habit to start, and it is one that can extend the life of a Kindle battery greatly. People are automatically going to start draining their Kindle batteries when they use the Wi-Fi and 3G radios. Sometimes, they are going to need to use them. However, people often just let this situation continue even when they have no need for these features. By keeping the Kindle in Airplane mode, users will be able to keep the Kindle network radios off consistently. While there are other ways of keeping them off, switching to Airplane mode is probably the most efficient means of doing so, and it helps people avoid situations where the networks change randomly or appear randomly. Everytime you add books into Kindle, it will index all the books overall. The more books you put into Kindle, the longer it takes to index all books and generate relative files and records of each books. In my usage of Kindle, I won’t put over 10 books into my Kindle. My Kindle Paperwhite 1’s battery can still last for 20 days normal reading after 4 years. Kindle’s screen is different than cellphone and tablet’s screen, it looks like real ink on a paper. This technology is called E-Ink. E-Ink screen has many advantages, like battery saving, no glare and eye-friendly. Each coin has two sides, if you turn some pages on Kindle, you may see the shadow of previous pages. Kindle solves this kind of issue with “Automatic Page Refresh” feature. But page refresh costs Kindle battery heavily, if you can tolerate this issue, you can consider turn off the Automatic Page Refresh feature. Turning off this feature doesn’t mean your Kindle won’t refresh screen any more, just less frequently.